Andrew Eckel is a songwriter/composer from upstate NY, currently living in Cambridge, MA. His third solo album, Make a Laser Sound is available at AndrewEckel.com. 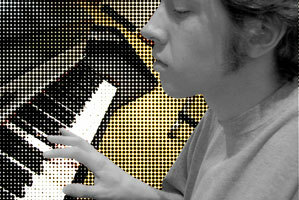 Andrew plays a bunch of instruments for PoetryToMusic, notably keyboard. Colin Summers is a songwriter/composer from upstate NY now living in Brookyn, NY. He's a member of the band Toys and Tiny Instruments. 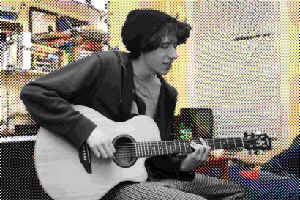 Colin plays a bunch of instruments for PoetryToMusic, notably guitar.